Even with a 2015 $1.5 billion tax increase, Connecticut has a projected budget deficit of $5 billion over the next two years. The prospect of massive statewide cuts in education funding and municipal aid have become a very real possibility. Additionally, as a result of the budget crisis, public unions were asked to agree to $1.6 billion in contract concessions. At the same time, Bridgeport, Connecticut’s largest city, has been forced to raise its mill rate by 29 percent. Bridgeport’s political, civic, and business leaders have been working to reduce its unemployment rate from 7.3%, which is significantly higher than the unemployment rates of both the state and the nation. In addition to the 2,000 direct jobs and 5,779 indirect jobs, $675 million in capital investment, and the revitalization of Bridgeport’s economy, MGM Bridgeport will make a minimum of $8 million in annual payments to Bridgeport. 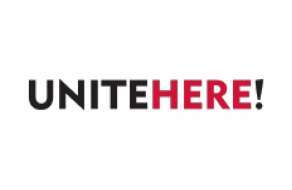 Additionally, $4.5 million for surrounding communities and a new workforce development center to be located in New Haven, Connecticut. MGM Bridgeport would generate Billions of Dollars in New Incremental Economic Benefit for the State of Connecticut. 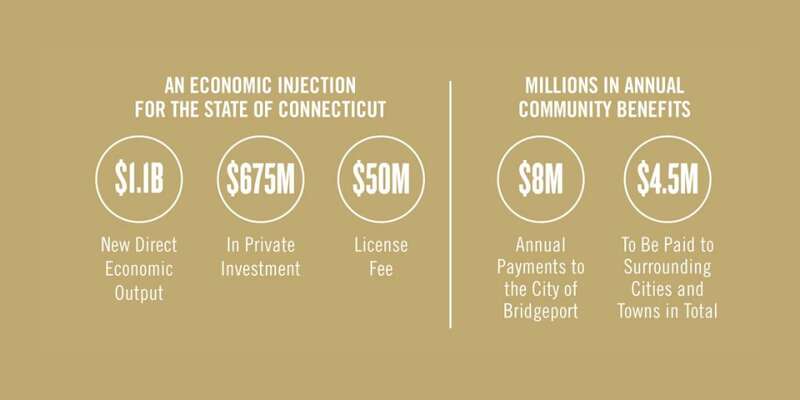 $2.9 Billion in Total Economic Impact – The total economic impacts inclusive of direct, indirect and induced effects that will result from MGM Bridgeport will generate meaningful incremental economic benefit for the state of Connecticut. $667 Million in Total Fiscal Impact – MGM Bridgeport will generate significant incremental tax revenues over the next 5 years. 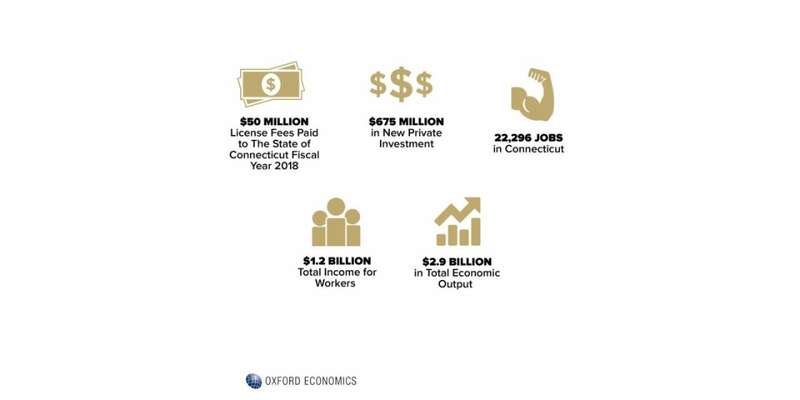 $50 Million License Fee – Upon approval and before MGM Bridgeport’s construction, the State of Connecticut will receive a $50 million license fee in Fiscal Year 2018. In addition to a $50 million injection into Connecticut’s budget in Fiscal Year 2018, MGM Bridgeport will make significant improvements to Connecticut’s overall fiscal health. 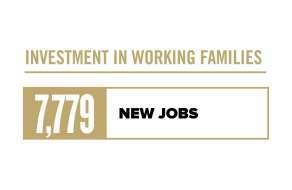 MGM Bridgeport provides the state’s best policy alternative for creating economic value through Casino expansion.